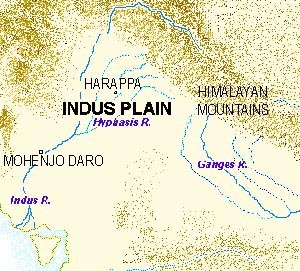 The Indus Valley Civilization was located along modern India’s Northwest border with Pakistan. The Indus River, like the Nile in Egypt, provided a floodplain where inhabitants could easily grow wheat and barley. Nomads had periodically inhabited the floodplain since 5,000 B.C., but sometime around 3,000 B.C., permanent urban dwellings began to emerge. Therefore, historians agree that civilization emerged in India roughly around 3,000 B.C. 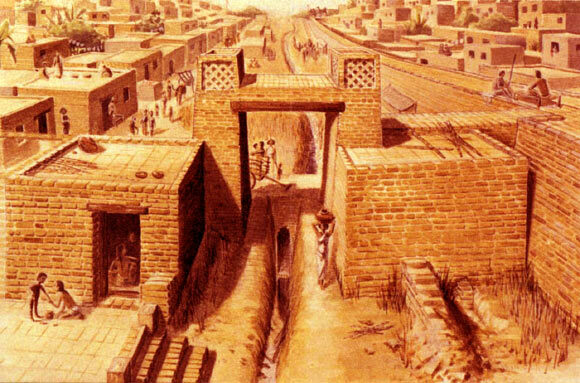 Between 2,500 and 1,750 B.C., the civilizations of Harappa and Mohenjo-Daro emerged. There is much archaeological evidence for historians to go by when trying to understand the Indus Valley Civilization. 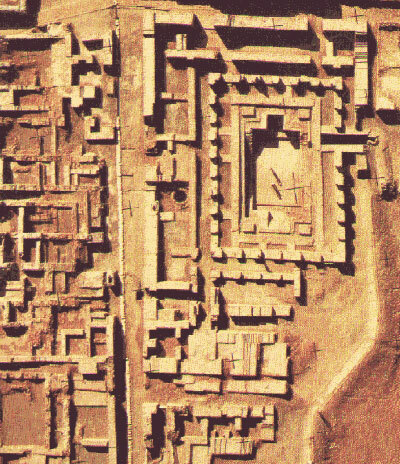 From ruins of their cities, we know they must have had strong central governments, because city buildings were laid out in a pattern, and sewage systems built. It takes strong leadership for such organization to occur. 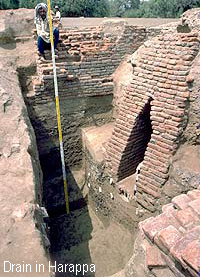 They used furnace-baked bricks to build their homes and buildings. There is evidence they grew wheat, barley, millet and sorghum, and stored them in granaries. Metallurgists worked with copper and bronze to form artwork, tools, and weapons. Very few weapons have been found, which suggests a very peaceful society. We know from archaeological evidence in the Valley and from written records in Sumer that the Indus people actively traded with Sumerians. Artifacts suggest they worshipped animals and a goddess-perhaps a fertility goddess. Our knowledge of the Indus Valley people is ultimately limited though, because their pictographic writing has not been deciphered. 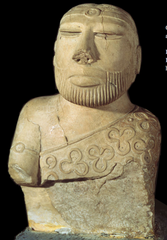 Sometime around 1750 B.C., the Indus Valley Civilization was in sharp decline. We don’t know why, but some archaeological evidence points to a depletion of natural resources. Around 1,500 B.C. or perhaps before, a nomadic people whom historians and linguists call the Aryans began to trickle into northern India. They settled with the Indus Valley people and slowly became absorbed into the Indus Valley community. These Aryans had a supposed cultural link to the Persian Aryans and the Indo-Europeans who (much earlier in ancient history) would become the Greeks, Latins, Germans, and Celts. Our knowledge of them comes chiefly from the Vedic texts. There is very little archeological evidence the Aryans ever existed. Just who the Aryans were or weren’t is still hotly debated, and has become a sensitive issue among some modern Indians. Aryans should not be confused (again) with Hitler’s Aryans. The Aryans belonged to a very large group of Indo-Europeans (people who supposedly came from north of the Black Sea). Aryans weren’t an ethnic group, but shared some aspects of culture and language. The Aryan migrations into India would take centuries to complete, and ended around 700 B.C. Their impact on southern India was not as significant as it was in the north. The natives of southern India, who belonged to a diverse culture called “Dravidian,” actively resisted Aryan influence. The Vedic Period 1000 – 500 B.C. The Aryans brought their religion and culture, which would become absorbed into the Indus Valley culture. Politically, India would become divided into several petty kingdoms. The religious concepts of the Vedas (I’ll explain them later) heavily influenced this now Indian society. No longer were there Aryans vs. Indus Valley people. By this period they were one people. Of primary importance to the Vedic Period (up to recent times) was the concept of a caste system. The caste system placed people in separate social levels-from the lowest to the highest. Once a person was born into his/her specific caste, he/she could not leave it. In other words, you stuck to your own kind. 6. This ranking system may have developed out of a need to show differences in occupations in early Indian society. A. Alexander the Great invaded northern India in 326 B.C. When he invaded, India was divided into many rival kingdoms. The Macedonian army took on the strongest king in West Punjab (northern top of India, probably the Pakistan side). They called him Porus– Purushottam in India. Porus proved to be Alexander’s greatest challenge. Porus had a large army at his disposal with a cavalry of elephants. Although the Macedonians won the battle, they paid a heavy price. Many men were killed, and Alexander’s troops refused to go any farther-to Alexander’s dismay (and fury). Porus actually fared better than before the battle with Alexander. Alexander was so impressed with Porus that he gave Porus back his kingdom and more land conquered by Alexander to govern for Alexander. Porus promised to faithfully rule for Alexander, and he never broke his word. Alexander had several Indian princes swear allegiance to him, including a young Chandragupta Maurya, the founder of the Mauryan Empire. As was his habit, Alexander founded Greek cities all along his empire. The few Greeks that settled in Alexander’s land in India brought with them the cultural influences of the Hellenistic Age. The Greeks did not have much influence on the Indians. Alexander’s successors had no control over his Indian territory. Emperors of the Mauryan Empire did keep relations with the Seleucid kings, however. The Greeks greatest impact was probably in art. 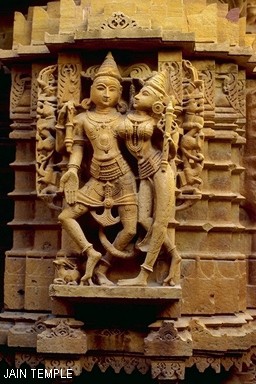 The realism of Greek art began to appear in northern Indian statues around this time. The Mauryan Empire 320 – 180 B.C. Chandragupta founded the Mauryan Empire. He came from an elite family of the warrior caste. His dynasty ruled for 140 years. 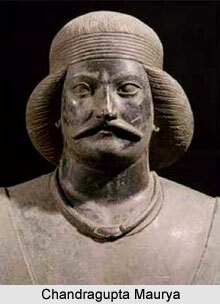 Chandragupta ruled for decades (roughly 320 – 301 B.C. ), by first seizing power from another king in the Ganges region (northeastern India), and used that region as a power base for conquering the entire Indus region. His key aim was to conquer territory that controlled important trade routes. Controlling these trade routes made his empire rich and powerful. The Mauryan Empire had a sophisticated government with several bureaus in charge of running the empire. Pataliputra was supposed to be amazing. It possessed a palisade with 600 towers and was several times larger than Rome. The circumference of the city wall measured 21 miles, and a wide, deep moat further protected the city. 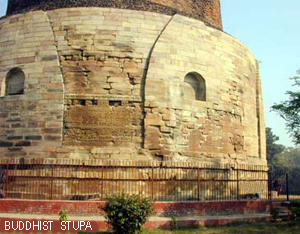 Chandragupta died around 297 B.C. One legend has it that he wearied of being emperor and spent the remainder of his years wandering in the south, living a spiritual life. Chandragupta’s son, Bindusara (reign dates roughly 301 to 273 B.C.) took over the Mauryan Empire. Not much is known about him, other than he expanded the Empire to the south. He left the throne to one of his elder sons, who did not rule for long. It was Bindusara’s youngest son, Ashoka who would rule next, and become one of ancient India’s greatest rulers. 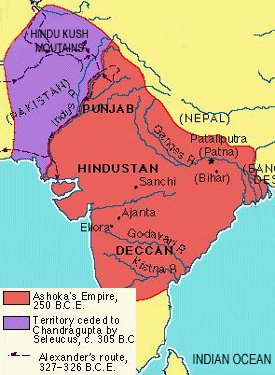 The Age of Ashoka – Roughly 269 to 232 B.C. Ashoka was not heir to the throne. He revolted against his ruling brother, causing a civil war that killed many, including all but one of his own brothers. In 261 B.C., Ashoka next started a war with Kalinga, a southeastern kingdom, for control of its land and sea trade routes. The carnage from this war brought much death, injury, and imprisonment. A dramatic change then occurred within Ashoka. He became genuinely sorry for all the death, destruction and misery he had caused. He decided to rule humanely by following Buddhist ideas. He had his government take on a humanistic, caring role. He even created Dharma Officers-men of rank whose job it was to make sure people were being treated fairly by legal officials. Ashoka tried to be a moral role model for his subjects, and encouraged everyone to live morally. He revised the legal code, making it less harsh. Attention was given to prisoners to see they weren’t treated too harshly. Special interests for laborers and slaves were also added into the code. Ashoka had an extensive public works system. There were public treatment centers for the sick and establishments for the care of animals. People were instructed to avoid killing animals. Medicines were free. 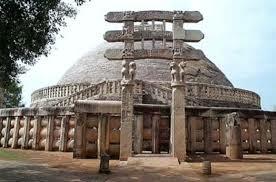 Ashoka died around 232 B.C. Conflict arose within the Empire after his death, and it split into eastern and western parts. 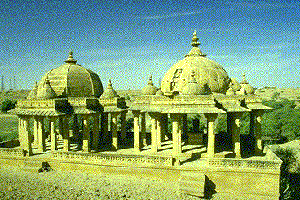 India fell prey to invaders and the Mauryan Empire was no more by 180 B.C. The next great empire to emerge in India was the Gupta Empire in 320 A.D. 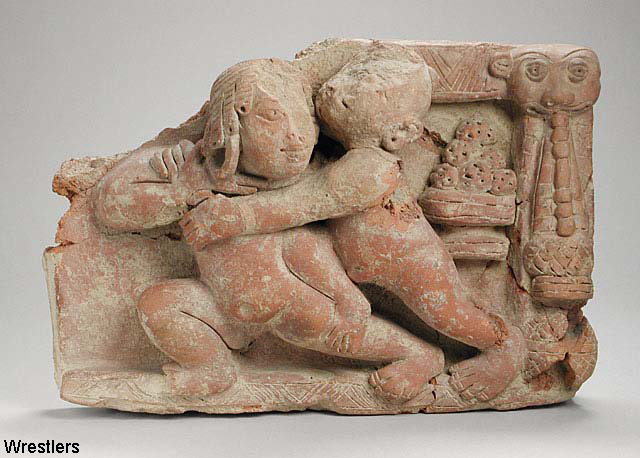 Practicing Yoga, physical exercise, water rituals, and meditation came from the Indus Valley civilization. Also, a god similar to Shiva (a creator god and destroyer of evil) originated from the Indus Valley. The Aryans brought the Vedas and nature gods. We can safely say that Hinduism resembled modern Hinduism sometime around 100 A.D.
Primary in importance to the Hindu religion are the four sacred books called the Vedas. They are believed to have come from the Aryan Rishis (ri shees) or people of great religious mind. The Vedas are our chief source of knowledge about the Aryans. They tell us about Aryan society as well as their religious beliefs. The Vedas are considered to contain truths about existence, and how to live one’s life. They are NOT to be considered the same thing as the Bible, Torah, or Koran. The Vedas were at first passed orally from teacher to student. They were written down in poetic form around 500 B.C. 1d. The Upanishads (uh punish ahds) — explains the Vedic rights and rituals, and philosophically tries to explain truths and realizing truths. These are two other literary works (epic poems written around 100 A.D.) that try to further explain the principles found in the Vedas. The Mahabharata centers on the struggle between two groups of cousins. One group is called the Pandavas, and the other group the Kausavas. The actions of the members of both groups teach the readers of the Mahabharata about correct and incorrect conduct. The Pandavas follow dharma and lead virtuous lives. The Kausavas follow adharma (not-dharma), and lead wicked lives. The Pandavas and Kausavas go to war and the Pandavas win, not necessarily because they are better soldiers, but because they have lived honorably, and justice is on their side. Out of the Mahabharata comes another famous story called the Bhagavad-Gita. 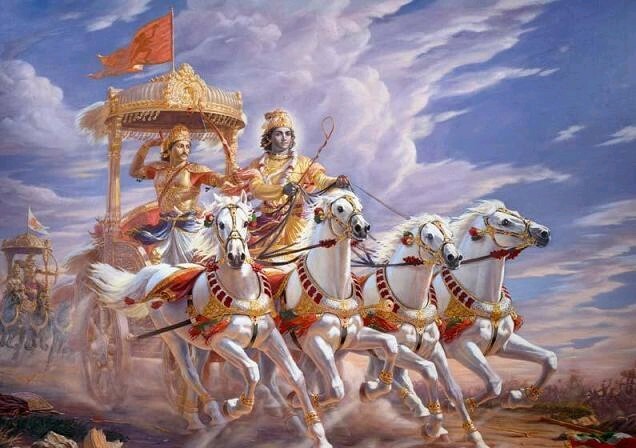 The Bhagavad-Gita tells the story of prince Arjuna, the greatest hero of the Mahabharata, and his charioteer, the god Krishna. Arjuna was appalled at the bloodshed to come and his role in it. Many of men he had to fight were relatives, or former masters. Krishna advised him that it was all right to kill (since his foe was dishonorable), and because Arjuna belonged to the warrior caste, and warriors must do their duty. To do otherwise would to be going against his dharma – or duty according to his class and caste. The universe is one. Even though it appears to go through changes and cycles (Remember cyclical world views, kids? ), the divine ultimately does not change. Brahman is the one life, mind, and infinite reality. Brahman takes many forms. Everything comes from it. This includes other gods. Since Brahman is the one reality that is part of everything, it is also part of you. This part in you is called Atman (soul). Brahman is not perceived by the senses. The senses trick a person into perceiving a world that is an illusion. The world goes through endless cycles of creation and destruction but has no real beginning or end. Like the world, a person has no known beginning. (Hinduism isn’t referring to a physical beginning, but a beginning to your soul.) A person goes through countless lives, being born, dying and reborn. A person’s Karma determines how long the cycle will continue. This cycle is not considered a good thing. These series of lifetimes continue until a person reaches a realization about his/her existence, called Moksha. Hinduism is a henotheistic religion – a religion that has one god, but allows for other gods as manifestations or aspects of that supreme God. Vishnu – the preserver; has several reincarnations, including Krishna and Rama. 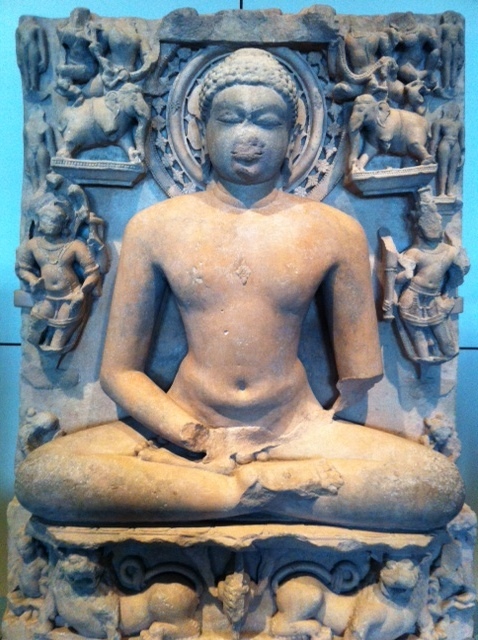 In Hinduism, the Buddha is considered to be the ninth avatar of Vishnu. A person should follow Dharma through rituals, behavior and good deeds. If a person seeks to break the cycle of rebirth and deaths, he or she should practice Yoga, vegetarianism, meditation, and seek the guidance of a guru – spiritual teacher/guide. In ancient India, boys often started their religious education by attending an ashram – a school run by a guru. If he/she is successful in breaking the cycle, he/she will join Brahman, the one reality. Karma is a Sanskrit word for ‘action’. It could be called the law of cause and effect. The law of karma states that for every action you take or thought you have (both causes), you produce a result (effect). These effects leave imprints on your soul. If your actions or thoughts are bad, then negative imprints will be left behind on your soul. If your actions or thoughts are good, then positive imprints will be left behind. If at your death your soul is heavy with negative imprints, you will be reborn into a lower social status. If at your death your soul has mostly positive imprints, you will be reborn into a higher social status. Dharma means simply living the life you were meant to live according to your caste and class. This includes doing all the good actions and virtues that go toward refining your soul. If you do not follow dharma correctly, your Karma will be negative, and your next life may not be as pleasant as your present one. Samsara is the belief that human existence is trapped in a cycle of rebirths and deaths. Your actions (dharma) in each lifetime will affect your Karma in that life. Your Karma will determine if your next life will be better or worse than the one before. Sapere Aude! With Hindu philosophy in mind, explain how one’s dharma affects one’s karma, which, in turn, affects one’s rebirth. Moksha is the release from reincarnation. It is the ultimate goal. It breaks the cycle of births and deaths. When a person achieves Moksha, he/she has realized the true purpose of existence. They see their senses have betrayed them – that life is an illusion. At death, those who have achieved Moksha have become liberated and have become one with the universe. 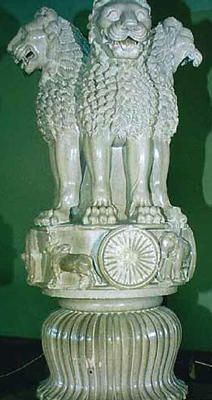 Jainism is one of the three great ancient religions of India. It has existed for over 2,500 years. It, like the Vedas in Hinduism, came from the truths discovered by holy men, called Tirthankaras. There were 24 Tirthankaras. The last of the Tirthankaras was Mahavira, who was a reformer and spreader of the religion. Among most historians, he is considered to be the founder of Jainism. The practitioners of Jainism are called Jains. They get their name from the Sanskrit word jina, meaning “spiritual warrior” or “self-conqueror.” It implies that Jains seek to conquer their inner spiritual struggles. Although Jains and Hindus are not the same, they share some of the same principles. Karma, and Reincarnation are two principles shared by both groups, although defined in slightly different ways. Both groups ultimately seek enlightenment and liberation from the cycle of rebirths and deaths. Jains do not follow the teachings of the Vedas. Ahimsa is especially important. Jains believe it is of primary importance not to harm any living thing, not even an insect. All living things are revered because they are all part of a living universe. Ahimsa forbids violence, and stresses avoiding violent thoughts. Needless to say, Jains are vegetarians. Following the Five Great Vows helps one attain enlightenment and liberation. The degree to which a person follows these vows affects his/her Karma. Jains do not believe in a creator god. However, many enlightened souls “saints” exist. The universe is infinite and has no creation. The universe is fully alive and is in everything. Life is in everything, and therefore all things should be revered -thus the importance of Ahimsa. Vardhamana Mahavira (Mahavira was a nickname given to him meaning “highly brave”) was born sometime between 540 to 486 B.C. to an elite family in the Ganges River Valley. He lived an elite lifestyle until the age of 30. Then, around this time he experienced a personal crisis that caused him to leave his worldly life and seek a different meaning to existence. For the next twelve years he sought enlightenment. He threw away his clothes and practiced self-restraint, such as eating the barest minimum of food for survival. Mahavira believed the senses and the body imprison the soul. These things hinder enlightenment and liberation. He believed that through meditation and self-realization, one could obtain liberation. Buddhism has existed since around the 6th century B.C. Although it originated in India, Buddhism has practically disappeared there. The founder of Buddhism was Siddhartha Gautama (a.k.a. the Buddha “the enlightened one”). Buddhists do not follow the teachings of the Vedas, nor do they believe in the caste system. Buddhism does share the Hindu beliefs of Karma and Reincarnation with some BIG exceptions. For example … are you ready? … Buddhist philosophy denies the existence of a soul. In Buddhist thought, there is no immortal spirit we all possess that survives us after death. Why you ask? Central to Buddhist philosophy is the idea of impermanence – nothing is permanent, nothing lasts forever. Buddhists believe that everything changes, nothing stays the same forever. Change is constant. Buddhists take this one step further and say since nothing stays the same forever, there can not be an immortal soul. By definition, a soul is supposed to last forever and never change. For a Buddhist, that is impossible. Yet, Buddhists believe in Reincarnation. So, what is it that goes from one body to the next, life after life? Like Hinduism and Jainism, Buddhism seeks a way to be free of the trap of rebirths and deaths. However, what is being freed is not a soul but rather a stream of consciousness. In Buddhist philosophy, Karma rules over our consciousness just as it rules over everything else. Each conscious thought (cause) has a seen or unseen result (effect). If at death, a person clings to ignorant desire(cause), his/her consciousness will be passed on to another being (effect). If that person polluted his/her consciousness with bad thoughts and deeds in his/her life, then the next being to possess this stream of consciousness will be one born in less pleasant circumstances. So if I am a really bad person and then die, the stream of consciousness that inhabited my body will pass to a person born to a harder life, or perhaps pass to an animal. There’s no way to know. Enlightenment and liberation are gained by removing ignorant desire. This is called Nirvana. A person who obtains Nirvana will not pass on a stream of consciousness to another being when he/she dies. Central to a Buddhist living is to accept the Four Noble Truths about life. 1d. Liberation (Nirvana) may be achieved by following the Eightfold Path: correct views, correct aspirations, correct speech, correct conduct, correct livelihood, correct effort, correct mindfulness, and correct meditation. 2. By following the Eightfold Path a person will not desire too much or too little. A person’s wants will be in the middle. In this way a person may do away with bad Karma and become enlightened, and possibly obtain Nirvana. Reality is indescribable. Humans find themselves trapped in a world of suffering determined by their Karma. Buddha is not a god, but one to be revered. There may be gods, but they are unimportant toward helping one live a proper life and seeking to obtain Nirvana. There is no real “self” to humans. A person’s identity is just a summing up of causes and effects. Siddhartha Gautama was born around 563-480 B.C. He was a prince who lived a life similar to Mahavira’s as a young man. His parents tried to give him a sheltered life whereby he would not see any of the “ugly” things in the world. Sometime in his twenties he took a series of trips that revealed to him the various sufferings people endur-poverty, disease, crippled bodies, death, etc. This revelation caused Siddhartha a personal crisis. He decided to find a way to end the sufferings of life and find the meaning of existence. Siddhartha tried the various methods of the time-extreme self-denial, hardships, etc. He found that these brought no enlightenment for him. 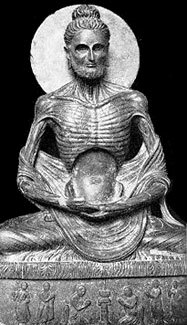 At the point of near death by starvation, Siddhartha decided to return to a life nurturing diet. He announced he would no longer practice self-denial, but seek a “middle way” of living-not too harsh, not luxurious. Meditation became the way that Siddhartha found enlightenment. One day, by a river, under a tree, Siddhartha vowed to meditate until he obtained enlightenment. It was then through meditation he began to see passed lives, and their connection with his current life. It was then that he realized the meaning of existence. He became enlightened-the Buddha, and had obtained Nirvana. It was after this experience he began to teach the Four Noble Truths. He preached for more than 40 years until his death. 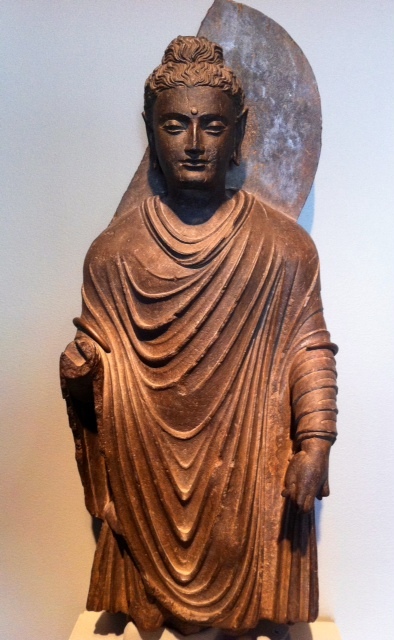 Buddhism remained a modest movement in ancient India until the time of the Mauryan Empire. It was the Buddhist emperor Ashoka who promoted Buddhism and made it into a major religion. Eventually Buddhism died out in India, but missionaries brought its teachings throughout Asia, causing it to survive and become a modern major religion.